Great Care, Delivered. Easy ordering is just a click away! Ordering and prescribing your compounded medications is now easier than ever. Quickly select and order those items you use the most. Reduce shipping costs by adding your preps throughout the day and submitting a single order. 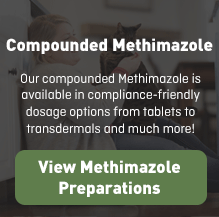 Search our extensive formulary of more than 20,000 compounded preparations. 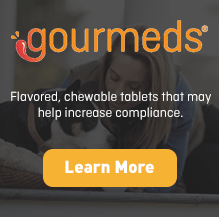 Find our DeliverEase® dosage forms that include Gourmeds®, Tiny Tabs®, Twist-a-Dose®transdermal, and Quad-Tabs™. 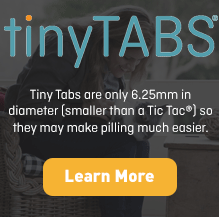 Patient-specific prescribing is easy and available 24/7. We can also bill and ship to the practice or directly to your clients. Continue patient treatment with compounded medications during those challenging backorders. 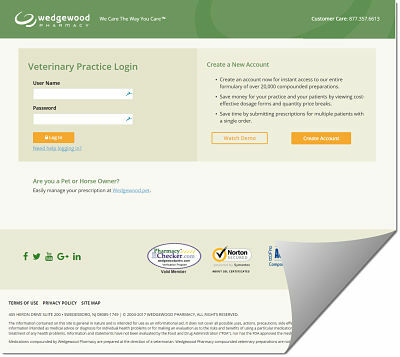 To create your account, simply visit Order.WedgewoodPetRx.com.